The String Swing violin wall holder is designed to rest the violin on the heel of the scroll, instead of on its tuners! Includes bow holder. 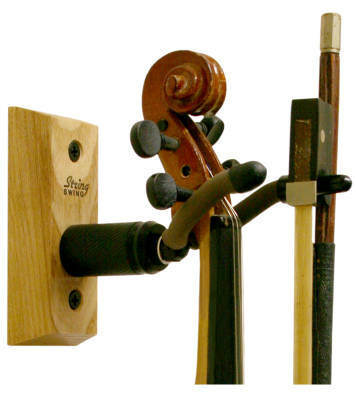 • Displays 1/8, 1/4, & 1/2 violins & 12" viola. • Wood block is made of authentic North American hardwood*.